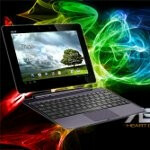 Clearly, anticipation is rising for the highly coveted Asus Eee Pad Transformer Prime, since it’s going to be the first quad-core tablet coming to market – while retaining the lovable convertible aspect of the original model. Even though it’s scheduled to go on sale in North America this month, overseas, pre-orders for the tablet are being made available in the UK right now. Specifically, online retailer Clove is now happily accepting your hard-earned cash, where you’ll be able to obtain a pre-order for the anticipated Honeycomb powered tablet. As much as you’ll be comforted to know you’ll be guaranteed a unit once it’s made available, it’s worth knowing that you won’t probably see the tablet until well after the new year – well, sometime in January. 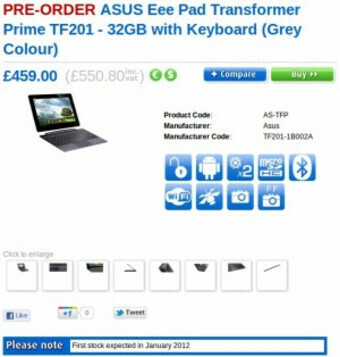 Right now, you can choose to side with either the 32GB Transformer Prime with the keyboard dock or simply the 64GB one without the keyboard – both of which will cost you £550.80 ($860). Therefore, if you have the disposable income to blow, by all means place your pre-order right now. Ha, bout time the U.S. got something first! 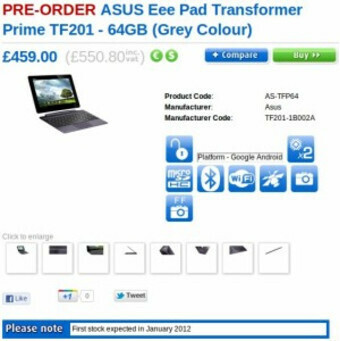 I am getting my Asus Eee Transformer Prime on the 18th of this month. I can't wait!